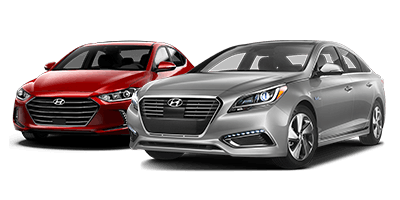 Hyundai is one of the world's top automotive manufacturers, producing stunning, well-made cars, crossovers and SUVs that compete in nearly every segment. At Castlegar Hyundai, we are inspired by Hyundai's continuous innovation in the areas of design, performance and technology. And we are grateful to our customers for their support and the increasing popularity of Hyundai here in the Kootenay region of British Columbia. Located in Castlegar, British Columbia, Castlegar Hyundai offers a large selection of Hyundai's award-winning vehicles. We carry the complete line-up of Hyundai cars and crossovers, including the Santa Fe Sport and Santa Fe XL, Elantra, Elantra GT, Accent, Sonata, the Tucson, Veloster and the Hyundai Kona, all at the best prices available in British Columbia, along with excellent finance and lease rates. As well, Castlegar Hyundai is now certified by Hyundai Canada to sell electric and plug-in hybrid vehicles including the IONIQ and Kona EV. We also provide Hyundai-certified service and parts, preferred tire and accessory prices for our customers, tire storage, and professional vehicle detailing. We are smaller, lower-cost dealership with big-city selection, which means we extend exceptional service and savings to our local customers. We are proud to serve Castlegar, Trail, Nelson, Rossland, Cranbrook, Okanagan, Creston, Grand Forks and the entire West Kootenay region. Castlegar Hyundai also offers a wide array of used vehicles in Castlegar such as the impressive Hyundai Santa Fe, along with lower-cost vehicles featured in our Budget Row. Visit our bright and modern facility and experience our consultative approach to vehicle sales. You haven't finished shopping for your next vehicle until you've shopped at Castlegar Hyundai.